Managing water accurately and consistently across multiple irrigation controllers is an age-old dilemma for landscapers. It’s a labor intensive part in the upkeep of a healthy, well-manicured, and presentable landscape, requiring considerable time and resource costs. The fastest and easiest way for applying changes to a collection of similar stations (zones) across multiple controllers. For example, you’ve changed from spray heads to MP Rotators on your turf stations. Use Manage Groups to identify all your turf stations on a site, and then make the same irrigation method change to all stations at once. To get started, login to your ETwater Manager online account, and on the Account Overview page select and click on a link to any site on your list. This brings you to Site Overview information where under the site name you’ll find the ‘Manage Groups’ option. Clicking on that displays any existing or previously created groups of stations (zones). At the bottom of this page click ‘Create new group’ for accessing the set-up process to name a station (zone) group, insert a short description about it, and decide which method- smart or manual filter- you want to use for identifying the stations (zones) to go into the group. Smart Filter. 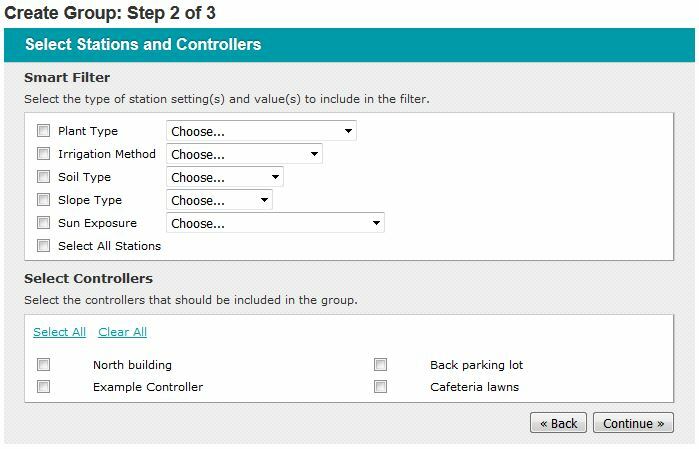 Use this ETwater auto-function to pick one or more filters for creating an instant group of your stations with similar characteristics. Plant type. Lawn, trees, flowers, shrubs, succulents, vegetables. Irrigation method. Spray head, stream spray, rotor, impact, bubbler, drip. Soil type. Sandy, loam, clay, sandy loam, loamy clay. Slope type. Flat, gentle, medium, steep, very steep. Sun exposure. Sunny all day, shady part of the day, shady all day. Once you’ve picked your filter(s), choose the controllers you want the filter(s) applied on, and then click the ‘Continue’ button. This will bring you to a confirmation page for reviewing the stations (zones) selected, and where you can make any final edits before pressing the ‘Create New Group’ button to accept. Manual Filter. Select individual controllers, followed by the stations (zones) to be included in the group. Once your station (zone) selection is complete, confirm by pressing the ‘Create New Group’ button. To make changes to a group’s settings, go to the Manage Groups section and at the right of the group name, click the pencil/paper icon. A drop down menu will appear and you can select the change to be made to the group. Fill in the Detail box that will pop-up with any relevant notes and then click the ‘Continue’ button. You’ll see an updated station (zone) group list displaying the change that you can further edit or make other changes before accepting. Click here to watch the ETwater video tutorial how to Manage Groups of stations (zones) with similar characteristics. If you ever need any help using your ETwater Manager online account for smart controller programming, please contact ETwater Customer Care. 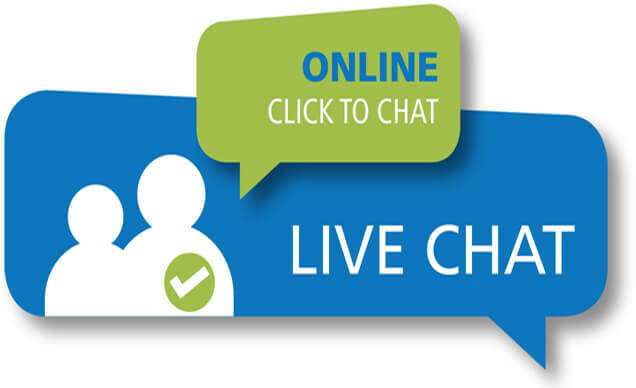 You can conveniently reach the Care team by phone, email or via the Live Chat feature on our website. ETwater was recently selected by the editorial staff of BUILDINGS magazine as a 2017 Money-Saving Product winner. ETwater offers a plug-n-play device for easy upgrade of conventional water controllers to its smart irrigation system. The cloud-based ETwater platform takes environmental data from multiple sources and provides intelligent, automated water irrigation plans and schedules for our line of smart sprinkler controllers and services.